Hey everyone, I'm here with you today to share a little glimpse onto my desk decor with you all. I love when I have a neat creative space, all the bursts of colour help to get my mojo flowing! I sometimes like to have my newer collections out in the open in my studio. It not only looks pretty but it also prompts me to use it first and boosts my creativity. 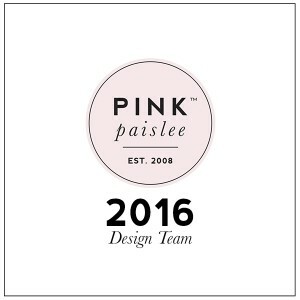 This time it is the C'est La Vie collection by Pink Paislee. I always have my Silhouette Cameo within reach. It is super easy when it is nice and close to plug it in and cut a design. My picture mate also sits to the right of my cabinet for the same reason. It is easy to access all the new Pink Paislee goodies when they are sitting on this shelf. I think this gold gipped alphas go down as one of my fave Pink Paislee alphas to date, I love love love them. I love them even more in a cute pink bowl too! How utterly beautiful is this cute bowl with ephemera, having the embellishments in a dish like this means I am more likely to use what is there as it is so easy to flip through and find the perfect piece to use!